Jack Pepper, one of the new presenters on Bauer’s Scala Radio, recently spoke about classical music at the European Radio Show conference in Paris. Here’s what he had to say. “Ludwig van Beethoven. Hearing that name, many people are likely to think of the famous painting of the composer, with his wild grey hair and red cravat. But the name could mean so much more; a man who suffered at home with an abusive alcoholic father, who left school at eleven, and who grappled with physical ailments and used music as an outlet for his emotions. That is a far more relatable image, because it is one of a normal human being. For too long, classical music has evoked sterility, distance and inaccessibility. But none of these stereotypes hold much truth. With its many simultaneously shocking, entertaining, humorous and tragic life stories, the case of a classical composer is one of a normal human being with the same ups and downs we can all relate to. Classical music is visceral, vibrant and exciting. It’s about time it was talked about in this way, too. It is an exciting time for the genre. In 2018, UK classical music sales and streams increased by more than 10%. We’re not talking about a tiny listenership; we’re talking about millions of people listening and buying. Classical music is not a niche. With live film score performances selling out top concert halls, game music drawing new audiences, classical club nights reimagining use of concert space, exciting young composers like Dani Howard already working with world-leading orchestras, and classical performers like Sheku Kanneh-Mason taking centre stage at national events, classical music is alive and kicking, and finding new ways to reflect modern life. Classical music didn’t die with Beethoven. The mould is breaking. 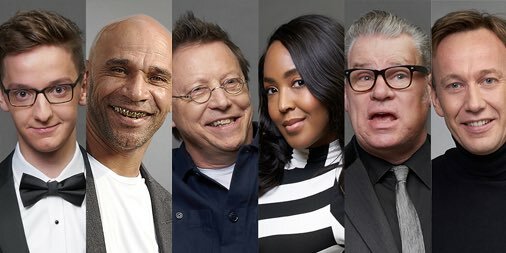 I’m thrilled that last week Bauer Media announced the creation of a new entertainment-led classical music radio station, Scala Radio, and I’m BEYOND excited to be among the presenter line-up. Launching on the 4th March this year, it will be the first new entertainment-led classical station in the UK in over a quarter of a century. 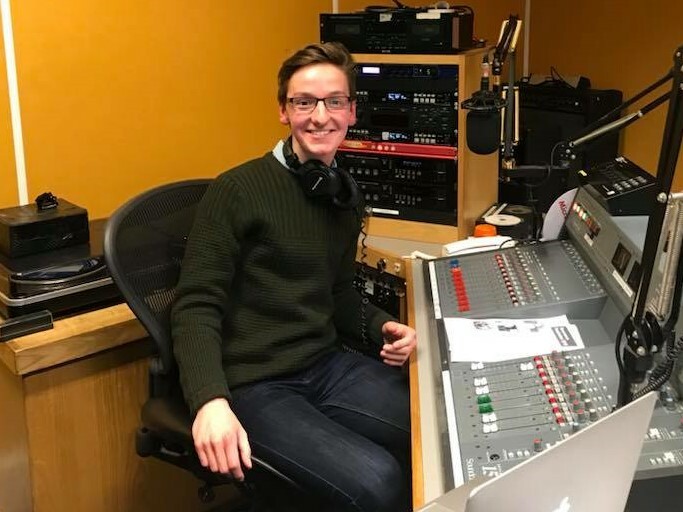 Scala Radio will be shaking up classical music in Britain, with familiar pieces alongside exciting and unexpected classical works, presented by the likes of Simon Mayo and Goldie with an informal ‘come as you are’ attitude: this will be a station where everyone is welcome. Classical music is not standing still, and so neither should the radio stations. I really hope you can join us when we launch on national DAB Digital Radio, online, via smart speakers and via mobile apps on Monday 4th March. If you want to sell classical music to new audiences, make it come alive by making it real: presenting real stories from the lives of composers, and having real people from the world of classical music involved somewhere in telling these stories. Classical radio shouldn’t have to sound like a church service. Working as a composer, I have surprised myself with the huge range of people and life stories encapsulated in classical music; books and school lessons had often made me think every composer was an old dead man in a wig. It’s about time we put the life back into the way talk about so exciting, so real and so visceral a genre. This article has been adapted from a speech given by Jack Pepper at the European Radio Show conference in Paris on Thursday 24th January. Not at that ruddy bitrate it won’t! Apparently the bitrate will improve once Scala begins, we think it will be 128kbs in stereo, at least I hope it will. To make room for Scala Radio the powers that be are shuffleing around some other stations or even taking them off the normal DAB and putting them on DAB +. “Classical” music has been going on for over four centuries. It will continue for another four or five. “Folk” or “popular” music has been going on since the cavemen bashed their drums. It will continue for ever. Do not confuse the two, although they can both learn from each other. I fully agree with you Harry, Classical music as we know it today was known as “The Classical Period, 1750 to 1820, best known composers Haydn, Mozart and Beethoven. That was preceded by the Baroque Period from 1680 to 1750, best know composers being Vivaldi, Handel and Bach. Classic FM – playing exactly the same few pieces as they did 1, 2, 5, 10, 20 years ago. Scala will be the same.